Help save energy. This efficient multifunction laser printer prints, scans, and copies while helping to keep energy costs low, so you save resources. 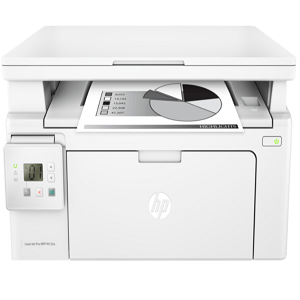 Print, scan, and copy with HP’s smallest LaserJet MFP—designed to fit into tight workspaces. Print from iPhone and iPad with AirPrint 1.5, which automatically scales jobs to the correct paper size. Click the button below to add the HP Laserjet Pro M132a All-in-One Monochrome Laser Printer to your wish list.